Description: Smith & Wesson M-17-8, .22 LR, 10 shot, blued, 6" barrel, Performance Center action tune, brass dot front sight, trigger stop. 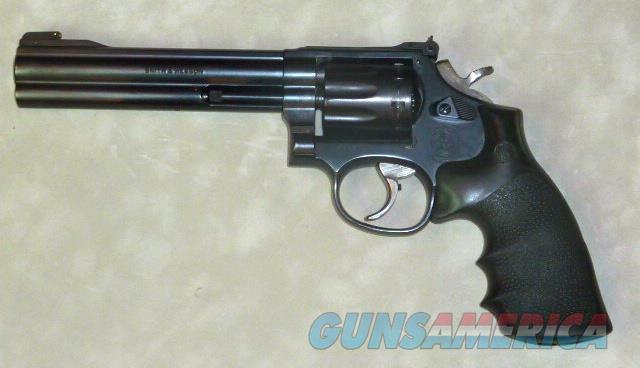 Terrific shooter, excellent trigger and double action, very slight cylinder line, the rest of the gun is 99% excellent. Rare gun in wonderful condition.